Flower power! Making a feminine addition to your summer rotation, this gorgeous sandal will elevate any casual look. 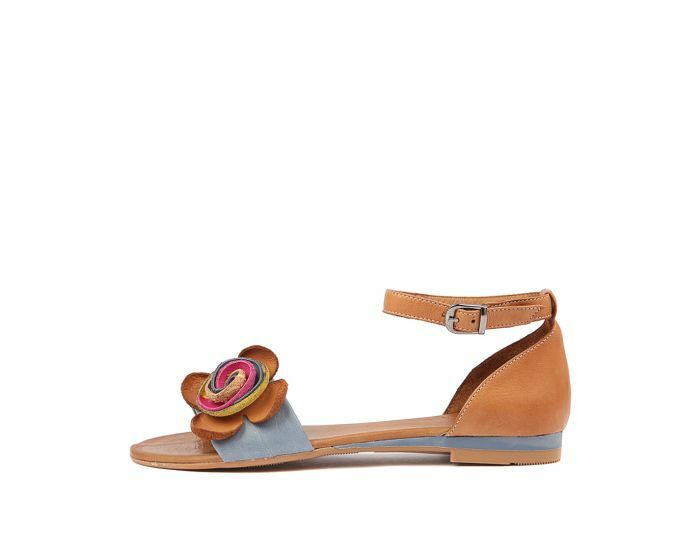 Crafted in Europe from soft two-toned leather, JOFF features a simple sandal silhouette that is adorned with a decorative floral embellishment that enhances the fashionable feel of the design.